Following the successful launch of the EUROSPAR strategy in 2015, and the new SPAR strategy launched earlier this month, SPAR and EUROSPAR in Ireland announced the intention to open 45 new SPAR and EUROSPAR Supermarkets over the next two years, providing jobs for 1,000 new employees. The strategies for the two brands was devised in close partnership with SPAR International and includes store redesigns with a focus on the introduction of more instore dining options and new instore technologies such as digital shelf-labels, digital menu-boards and instore Wi-Fi. These changes will serve to meet the diverse needs of shoppers and are in keeping with the rapid changes currently taking place in Ireland’s retail space. 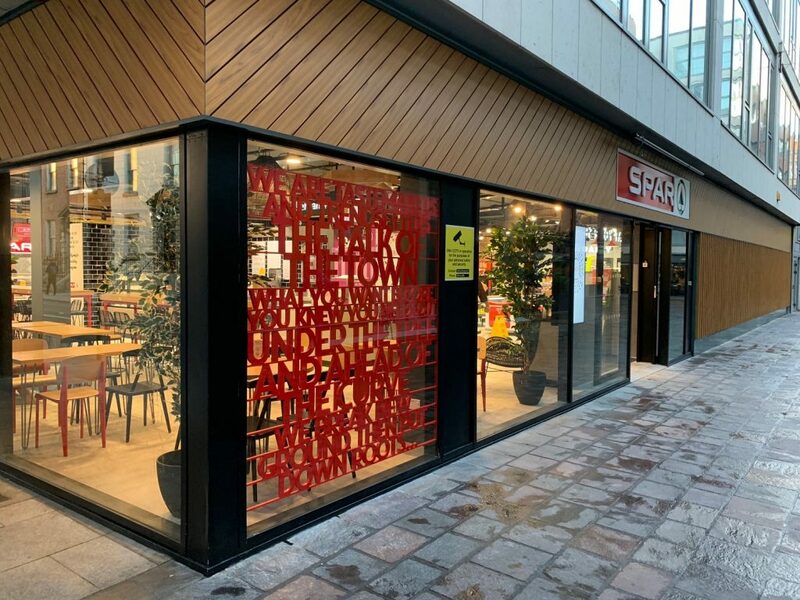 The new store design will be based upon the upgraded SPAR store at Millennium Walkway in Dublin, a flagship project which SPAR International was closely involved in. Complementing the wide variety of instore departments, the newly expanded and redeveloped store utilises striking design features, impact lighting, digital signage and projectors to create a truly novel retail experience. In addition to extensive support given in retail design of both interior and exterior, store layout in line with current trends and instore communications, the project included supporting the digital integration throughout the store. The new store concept will transform the customer experience through new pioneering retail practice innovations that place a greater emphasis on convenience such as tailoring store offerings in real-time to different periods of the day, delivering consumer facing technology solutions to cater for customers’ on-the-go needs, and providing a heightened focus in food service in line with growth within this market segment. Work has already begun on identifying development sites for the 45 new stores, with a focus on high-footfall urban locations such as town centres and transport hubs. About five of the new stores will be larger EUROSPAR Supermarkets with the rest being SPAR Supermarkets; all stores will benefit from the digital-led strategy being implemented. 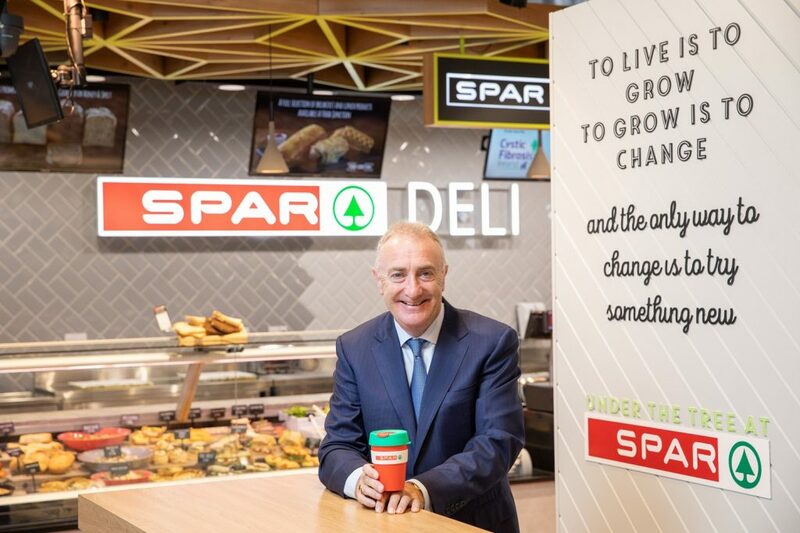 Leo Crawford, BWG Chief Executive, said the new digital-led strategy is a “game changer” for the SPAR and EUROSPAR Brands, that will help to “transform” the convenience retail sector. Read more about SPAR Ireland. SPAR Ireland was established in 1963 and is operated by leading wholesale and retail company, BWG Foods. In 2014, 80% of the shares of BWG were sold to SPAR South Africa, with the remainder held by the original owners. With a presence in every county across the Republic of Ireland, SPAR is one of the country’s largest convenience retail groups. In developing the business, SPAR Ireland has a long track record of recognising the strategic importance of introducing new retail formats. It operates three of the four SPAR formats: SPAR, EUROSPAR and SPAR Express, bringing consumers the most innovative products and instore offerings.